Well it finally happened. It only took a 19-game winless streak and an injury to the starting quarterback, but Baker Mayfield has finally arrived. With under two minutes played in the first half of the Brown’s victory (Yes it really happened!) 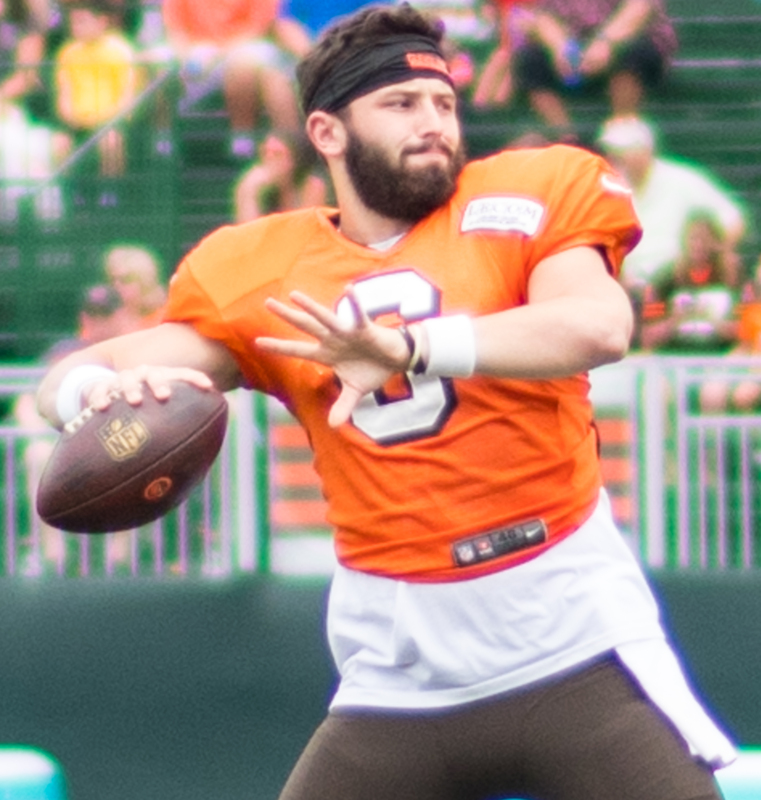 over the Jets, Mayfield entered the game and drove the team down the field for a field goal. This is where it all starts for his NFL career. And he gotten off to a very good start. First off, he got the win. For a team that hadn’t won in 19 previous games, he’s doing pretty well in getting that first win. Second of all, he actually wasn’t afraid to throw the ball. He did more than just short pass here or short pass there. He wasn’t afraid to air it out and throw the long ball to his receivers. The one play that stands out to me was the throw for 29 yards to Jarvis Landry that set up the Browns’ first touchdown of the game. Under Tyrod Taylor, the offense was not moving and the team looked sluggish, stuck in the mud and they had trouble moving the ball. When Mayfield came in, the whole team, and even the fans, changed. There was excitement from the fans and the team’s offense finally started to move the ball. It looked like an actual NFL offense. Now he didn’t throw any touchdowns, but he didn’t throw any interceptions either. There were a couple of passes that came up just short of being touchdowns. He also threw for 201 yards. Now that stat doesn’t jump off the page, but the thing is, he did that in a little over one half of a game. One other thing is that he outplayed Sam Darnold. Darnold only threw for 169 yards and had two interceptions. The third thing I want to mention is that what Mayfield does for his team is give them hope. There is no way to quantify a stat like hope. I call it a stat because look what it did for this team. It picked them up. It gave them a chance. When the game and even the season started, the team and its fans looked like they were in for a long year. Another year of being below average, probably the worst team in the league. But here came Baker Mayfield. During that first drive before the half, something felt different. Something felt unusual. That something is what Baker Mayfield brings to the Browns. There were a lot of people thinking that Sam Darnold should have been the pick for the Browns when the draft started this year. Maybe they were right. Maybe they were not. Time will tell which quarterback will have a better career. Thursday night was Mayfield’s night. He got the Browns a win and looks like the starter for the foreseeable future. Let the era of Baker Mayfield begin!